Hush Hush saga was my first experience with angels. It was okay. 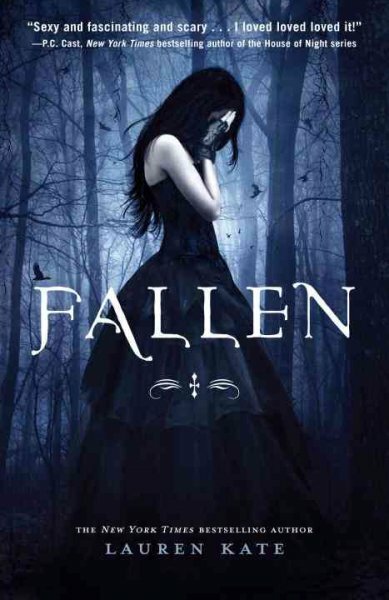 I found this series “Fallen“ by Lauren Kate and it’s cover caught my eye. The description was pretty lame, but bearable. So I took it and read it. “Hush Hush“ was better, in my opinion, than “Fallen“ and although the beginning was promising, the next two totally ruined it for me. Here we go. Luce (cool name, better than Nora anyway) – I liked her in some ways, but at times she was so clueless. Daniel – a good soul, nice, inviting. At least in some books there’s a good guy who catches the eye of the heroine and who is not the bad boy and repulsive. However, Daniel’s still mysterious and is not the traditional object of attraction. Cam – I liked him. Towards the end too. I’m not going to spoil it, I’ll speak about it in some other review about the series. There were some pretty cool characteres in this novel. The story was quite predictable and there was just like magnet between the two lovebirds and it pulls them together, although, Daniel does not want nothing to do with Luce. The ending was a bit unexpected, but otherwise it was all predictable. But.. Umm.. Okay, the connection between Daniel and Luce was not predictable, I had my guesses, but their story is a bit off the track of the traditional ones. I liked Luce, because she’s a swimmer and I love swimming, plus, the water invited her all the time and it’s the same with me. Also, I like how books smell, Luce liked it too. The first book was quite okay, but if I’d read the series for the first time (impossible now), I’d not read the second and the third one. I don’t know how the fourth and final one will end, but I’m going to read it, because I’ve already read the previous three, so it’d be all pointless if I’d not read the last one as well.